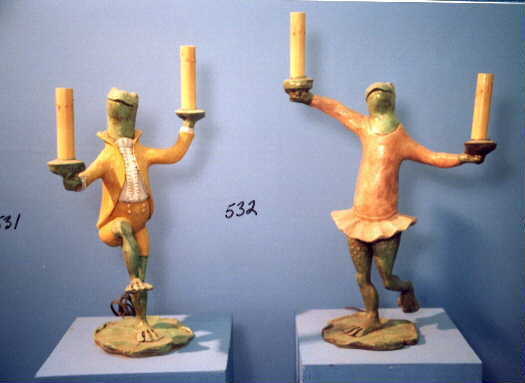 Description: A resin girl lamp with one or two light bulbs under shades. Also available with a matching boy lamp [#351]. Resin &steel. Shades extra.